Discussions about the impact of the western world on eastern martial arts, as taught in the west today. When I think of Humility, I normally think about how I feel about others in relationship to myself. 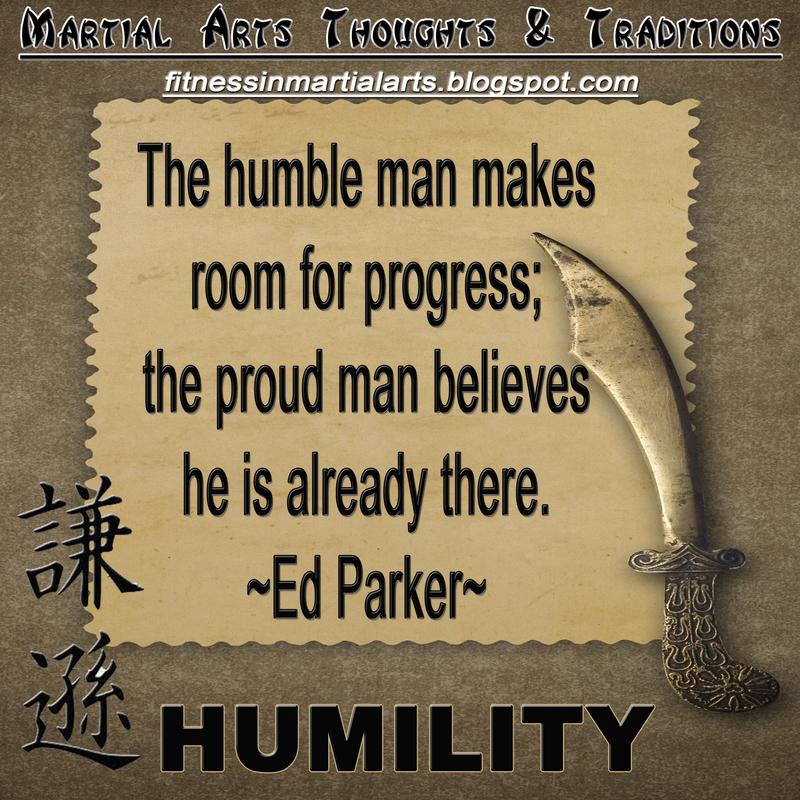 This powerful quote from Ed Parker changed and added something new to how I have and will look at humility for the rest of my life. 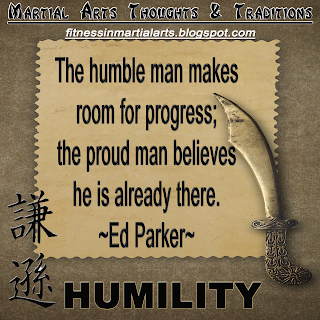 The humble man makes room for progress. Because a humble man does not stop looking for improvement in himself, he always assumes he can find a way to make himself better. If it were not so, her would not be humble, but rather full. Full of himself. It reminds me of the story of the student being told to look at his skills and knowledge as a full glass, and in order to learn, he had to empty the glass out, in preparation for new information. I always looked at that story as a method of learning. That a student had to be a clean black board. I never saw it as a lesson in humility. Guess I have been blind for a long time. When it comes to weight loss. Only a few supplimants can get the job done without any side effects. The best one being Rapid Tone Diet. Watch a review here: Rapid Tone Diet.